These are my favorite burgers at the moment. 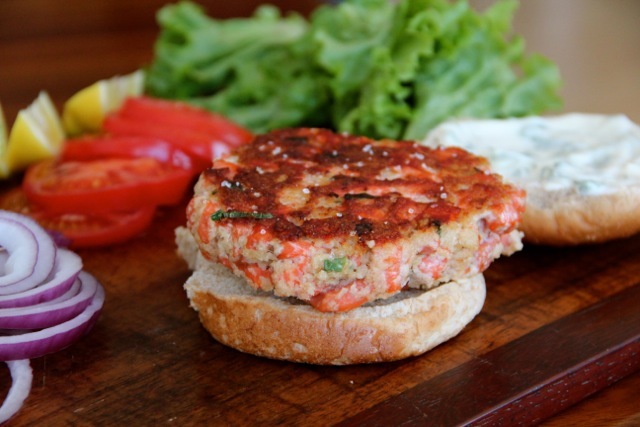 I make these with our local wild-caught Alaskan Sockeye salmon and they’re just about the tastiest burger known to humankind. I implore you not to skip the Cilantro Mayo. It really elevates these burgers to the next level and provides the sauciness and creaminess these burgers need. Make the mayo, pretty please. In a small bowl, combine mayo ingredients and stir until completely combined (can whirl in food processor). Refrigerate until ready to serve. In a bowl, add salmon, garlic, green onion, and Panko. Mix gently until well combined. In a smaller bowl, combine egg whites, soy, lemon, and salt. Whisk. Pour over salmon/Panko mixture and toss gently until mixture is moistened. Heat a skillet to medium heat and swirl with canola oil. 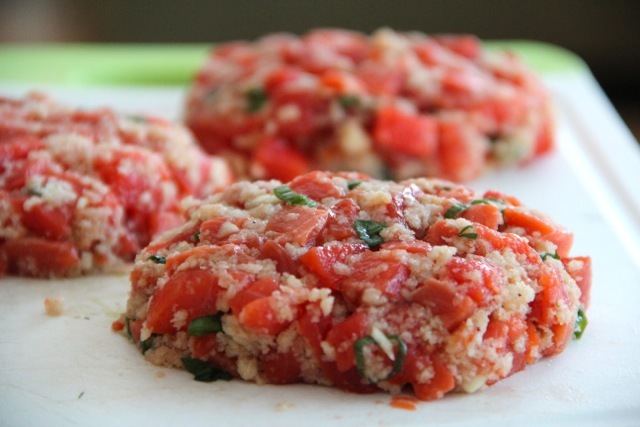 On a cutting board or work surface, form salmon into 4-6 equal-sized patties, packing firmly. Using a sturdy spatula, transfer patties to hot pan. Cook until golden and crispy, about 4 minutes. Flip and repeat until burgers are cooked through, but not dried out, about 3-4 more minutes, depending on thickness. Sprinkle finished burgers with sea salt. Serve on a bun with Cilantro Mayo (be generous), lettuce, tomato, red onion, and avocado.